Here is a great find if you are into vintage computers, an Apple Lisa A6S0200 System. While this system does power up and the ROM Boot tests ok, there is no response from the hard drive and the floppy disk drive isn’t able to accept a disk properly. These parts are readily available around the web, so finding replacement parts and getting this Apple Lisa computer back up and running shouldn’t take long at all. 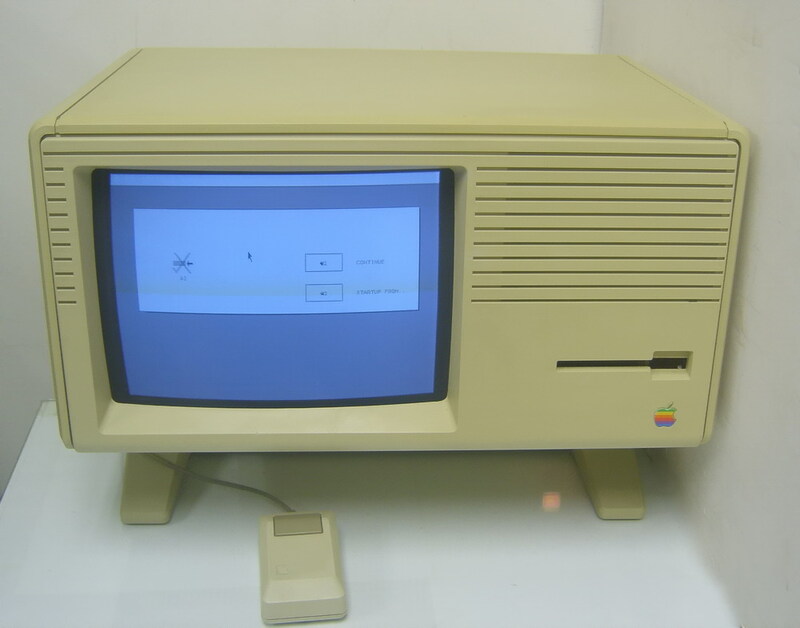 This Apple Lisa system is available on eBay with a buy it now price of $3,100.00. Take a look at some more deal on vintage computers. NewEgg.com has a great deal on the Synology DS1511 at just $899. The Synology DS1511 is the latest high performance NAS drive from Synology with transfer rates at over 120 MB per second on a single gigabit ethernet link. With the Link Aggregation enabled, Synology DS1511+ can transfer 165 MB/sec writing and 198 MB/sec reading speed under a standard RAID 5 configuration. With the iSCSI support in DSM 3.0, the Synology DS1511+ provides a seamless storage solution for all sorts virtualization environments. The DS1511 has a robust operating system that has the most features we’ve see of any NAS system. 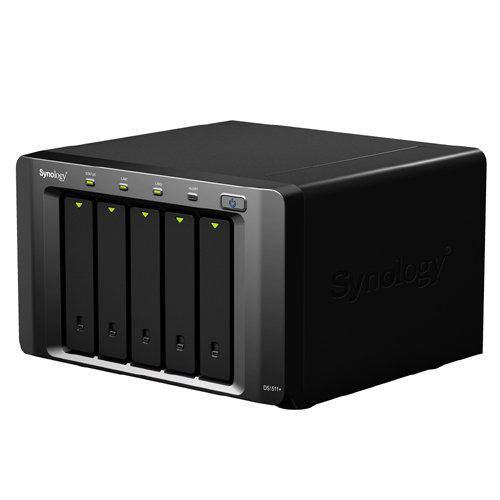 Make sure to browse through some more deals on Synology NAS Storage Systems. Take a look at the largest 3D LED LCD TV currently available on the market from Samsung, the UN65C8000XF is huge and also very thin, at less than 1 inch thick and a diagonal viewing area of 64.5″. The eco-friendly UN65C8000XF helps you save money, while helping to save the environment by consuming less energy. 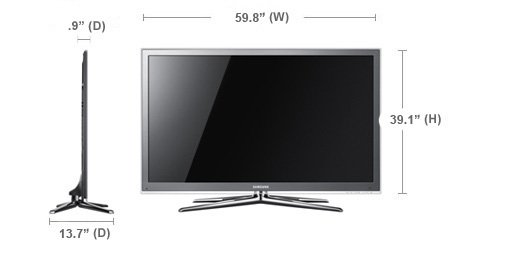 This TV also includes AllShare technology that syncs your digital devices so you can enjoy music, movies and photos from your PC, camera and mobile devices, on your larger TV screen as well as Smart TV Apps, that connects you to your favorite digital content like videos, sports, games, social networking and much more. The Samsung UN65C8000XF weighs in at just 79 pounds and has 4 HDMI inputs, 2 USB ports, 1 ethernet port, along with analog component and composite inputs. Other tech specs with regards to the picture quality include a full HD resolution of 1920×1080, 8 million to 1 dynamic contrast ratio, and a super fast 240Hz refresh rate. Take a look at some great deals on all sizes of 3D LED LCD TVs. Golf GPS rangefinders are used in golf to assist the player in accurately determining the distance to certain fixed points on a golf course, such as the green or numerous hazards. They can either be a standalone purpose built device or a piece of software installed on another device, such as a smartphone, which contains GPS hardware. Especially helpful for better golfers, who will generally have better distance control, there are clear advantages to knowing the precise yardages compared with traditional methods of determining distance, such as distance maps and pacing. 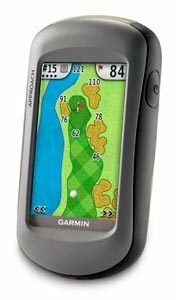 GolfClubsReview.org has some great deals on Golf GPS handheld units as well as hundreds of golf club reviews. If you’ve just bought your first 3D TV you’re probably looking for some more 3D glasses to go with your new setup. The latest 3DTV’s don’t come with any of the special active shutter glasses needed to view the latest 3D content in actual 3D. There best option is to buy one of the 3DTV bundles that are promoted along with sale of the TV. These bundles usually include 2 pairs of 3D glasses and a 3D blu-ray movie. Retail for these kids are usually $400, but we’ve found some better deals on eBay, as low as $200. After you’ve bought the bundle you can search around for individual pairs to add to your setup. We found the regular size 3D glasses too large for smaller kids, companies like Samsung are actually selling smaller pairs of 3D TV glasses just for kids. You’ll probably need 2 pairs of adult 3D glasses and 2 pairs for the kids so you can have at least 4 people view the TV in all it’s 3D glory. Take a look at some great deals on all brands of 3D TV Active Glasses on eBay. Abe’s of Maine is selling the Logitech Harmony 900 Universal Remote for just $299 with free shipping and a 30 day money back guarantee. This remote features RF technology that lets you control devices from far away, even through cabinet doors. The Harmony 900’s design and physical control buttons and numeric keypad make it look much more like a typical remote control some others. In some ways, however, the dedicated backlit buttons make the 900 just a little more intuitive to use. If you’re watching TV and wish to change channels, for instance, you don’t need to call up a numeric keypad on the touchscreen, you just press the buttons. Programming the Logitech Harmony 900 is very easy and is all done online via the Logitech website. AFter you’re finished with the online setup, the configuration is downloaded to the remote and you’re ready to go. Take a look at some more deals on Logitech universal remotes. ExperCom is selling the Apple Mac Pro 6-Core 3.33GHz Xeon Workstation, model no. MC560LL/A with 6GB RAM and three years of AppleCare for just $3,899. This price is $253 less than the lowest total price we could find for this bundle directly from Apple. This Mac Pro features the latest super quick Intel Xeon 3.33GHz 6-core “Westmere” processors, 6GB RAM, 1TB 7200 rpm hard drive, SuperDrive, Radeon 5770 1GB video card, and more. Take a look at more more deals on new and used Apple Mac Pro Desktops. Electronics Expo has a great deal on the Olympus X-560WP 10-Megapixel Waterproof Digital Camera in Red for just $81 after entering in the coupon code “LSDA0824″ Just add $6.99 for shipping and you’ve got the best deal we’ve seen for a waterproof camera in a long time. The X-560WP is waterproof down to 10 feet and features a 3x optical zoom, 2.4” LCD, face detection, movie mode, 19MB internal memory, xD and microSD card slots, as well as USB 2.0 connectivity. The X-560WP automatically identifies the scene you’re shooting as well — portrait, landscape, night portrait, macro, or sport — and adjusts the settings to optimize results. With high ISO sensitivity and faster shutter speeds, the Digital Image Stablization allows you to freeze the action to capture sharp, blur-free images even if you or your subject is moving. Take a look at some more deals on Waterproof Digital Cameras. Newegg.com is selling the ASUS EAH4870/2DI/1GD5 Radeon HD 4870 1GB 256-bit GDDR5 PCI Express 2.0 x16 HDCP Ready CrossFireX Support Video Card for just $99 after a mail in rebate. The Asus EAH4870 has a 750MHz core clock speed, 400MHz RAMDAC and 2 DVI ports that support a resolutions of up to 2560×1600. It also comes with full HDCP support, 2×6 pin power connector, 1GB of GDDR5 RAM and a 3 year warranty from ASUS. 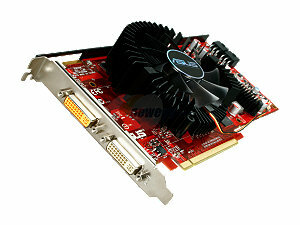 Take a look at some more deals on Radeon video cards from Asus and other manufactures. 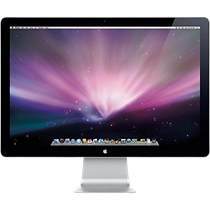 The Apple 24″ Cinema display features a native resolution of 1920×1200, LED backlight, 1,000:1 contrast ratio, 330 cd/m² brightness, built-in iSight camera, 3-port USB hub, integrated 2.1-channel speaker system and a Mini DisplayPort. Apple just announced their new 27” Cinema display which might be the reason for some retailers lowering prices on the 24 to push them out the door. Take a look at some more deals on New and Used Apple 24″ Displays. The HP store is selling their HP Pavilion Slimline s5510t Intel Dual Core Processor clocked at 2.7GHz PC for just $380. This HP desktop PC comes with a 2.7GHz Intel E5400 Dual Core processor, 2GB of DDR3 ram, 500GB 7200 RPM internal SATA hard drive, 16x DVD burner and the Intel X4500 graphics system with a standard VGA port. This HP computer is enclosed in a slimline small form factor case with a high tech glossy finish and comes with a 1 year in home warranty. For more desktop computer deals browse through some more HP Desktop Computers. 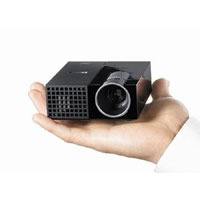 As part of Dell’s Daily Deal promotion you can get a great deal on the Dell M109S Ultra Portable Projector for just $249 which is a big discount off of the $399 MSRP. The M109S has a native resolution of 858 x 600 (SVGA), a brightness of 50 ANSI Lumens and an 800:1 contrast ratio. This projector is using an LED light source so it should last a very long time without having to change bulbs. The M109S can project up to 60″, fits in the palm of your hand and weighs in at less than 1 pound. Take a look at some more deals on ultra portable projectors. Staples is selling the Canon PIXMA MX860 All-in-One Wireless Inkjet Printer for $99 with free shipping. This is a great deal on the PIXMA MX860 since it normally retails for close to $200. The PIXMA MX860 features 9600×2400 DPI color printing using a special 5 color ink system. It also features a 2.5″ LCD screen which lets you select and edit your images for simple computer-free printing. It also includes auto duplex printing, a fax machine and an integrated document feeder for easy copying and scanning of multiple page documents. If the MX860 isn’t what you’re looking for browse through some other great deals on Canon PIXMA printers. Provantage.com is selling the Netgear ReadyNAS NV+ Network Storage Enclosure, model no. RND4000, for $290.33. This Netgear Network Attached Storage enclosure can hold up to four 2TB hard drives for a huge storage capacity of 8TB. The ReadyNAS NV+ features X-RAID which can scale from 1 to 4 hard drives without having to rebuild the RAID array. This is very helpful when moving to large size hard drives when you need to increase capacity. The system can do various RAID levels, 0, 1, and 5, to optimize for speed, redundancy or both. This ReadyNAS unit comes with a Gigabit ethernet port and supports a range of clients including Windows, Macintosh, and Linux. An LCD on the front of the unit displays status information for the different hard drives in case one goes down and needs to be replaced. Make sure to browse through some more deals on comparable NAS RAID Storage Systems. Meritline.com is selling the Kingston 16GB DataTravler USB 2.0 Flash Drive in Yellow, model no. DT101Y/16GB, for $24 with free shiping after using the coupon code “MLCK1229310628NL1”. This Kingston USB Flash drive with its capacity of 16GB has space for high-definition photos, graphics-intensive documents, videos, spreadsheets, presentations, term papers, and any other data. Small, practical, and well designed, the reasonably priced DataTraveler 101 meets the needs of the budget user as well as those seeking for significant storage capacity, speed and data protection in a lightweight, solid design. It features a capless, swivel design for added functionality and ease of use and is available in various colors. Take a look at some more deals on many other Flash Drives. Meritline is selling a USB Data Cable for the Apple iPhone, iPad, iPod in white for just 79 cents after using the coupon code “MLCK4013570623NL1” With free shipping it’s the lowest total price we’ve seen for any such cable. This is a great deal considering that Apple charges $19 for its USB sync cable. If you want to buy more than one you’ll need to place separate orders for each one, order quick as the coupon code will expire after it’s used 1000 times! Electronics Expo is selling the Epson EX51 LCD Digital Projector for $535 after using the coupon code “GOGREEN”. The Epson EX51 has an output of 2500 lumens and provides brilliant images in true-to life color. With a native XGA resolution and Epson 3LCD, 3-chip technology, this ultra small EX51 ensures razor-sharp detail for flawless presentations. The Epson EX51 includes a remote, carrying case, HDMI input, as well as a 1.2x optical zoom for great flexibility with regards to placement in the room. You can even run slideshows and presentations on this projector without a computer by plugging in a USB drive with photos on it. Take a look at some more deals on Epson LCD Projectors. J&R is selling the ViewSonic 27″ VX2739WM LCD Monitor for a $348, the lowest price we’ve seen to date on this monitor. The VX2739WM features HDMI, DVI, VGA inputs along with a 4-port USB hub to allow you to plug in USB devices directly to your monitor while keeping the CPU out of sight. This 27″ monitor also has an Eco mode which can save up to 35% energy use. Tech specs are a 100k:1 contrast ratio, 1ms response time and full 1080p, 1920×1080 resolution. This monitor has a relatively lower resolution that most 27″ – 30″ screens, so it’s great for those who want large images and text compared to having to move away from a higher resolution monitor’s native resolution. 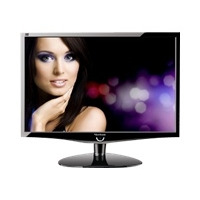 Take a look at some more deals we have on Viewsonic LCD Monitors. 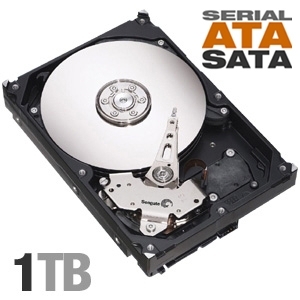 TigerDirect.com is selling the Seagate 7200.12 1TB SATA Internal Hard Drive, part number ST31000528AS, for $39.99 after a $30 rebate, which is by far the best deal on a 1TB hard we’ve seen. The ST31000528AS features a 7200 RPM spindle speed, 32MB cache and a 3 year warranty. This hard drive is also labeled as a green drive, by using less energy compared to other drives, using only 8.0 watts while at idle. Check out some more deals we have on internal and external hard drives.